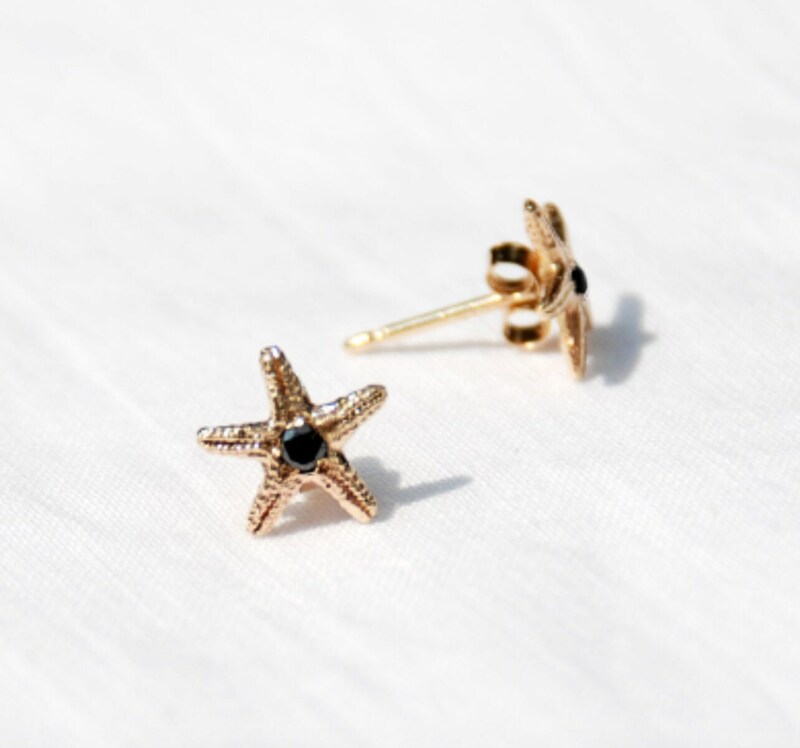 Tiny solid gold starfish earrings with 1.8 mm natural black diamond centers. 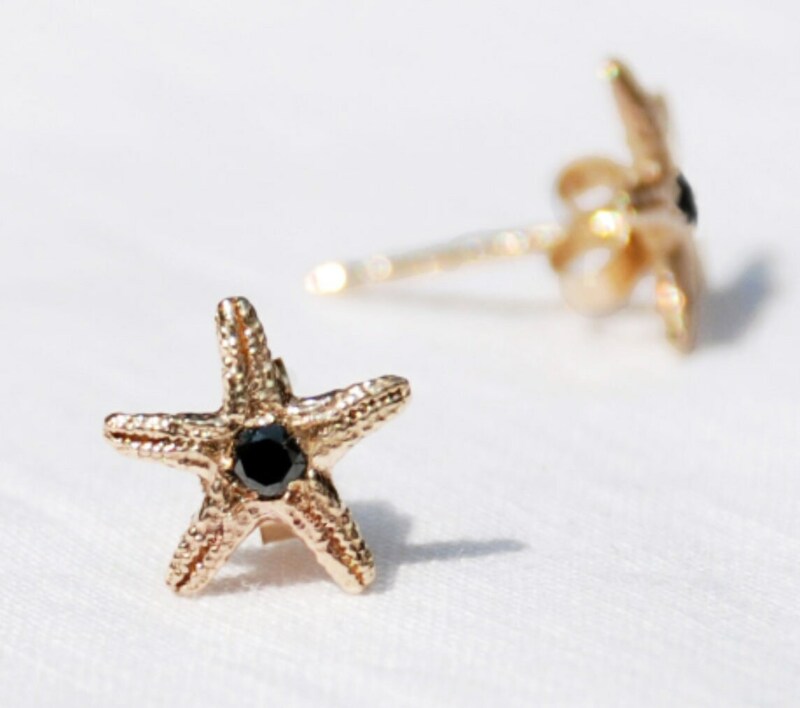 Each 10k gold starfish measures 8mm across from point to point and has solid 14k gold ear posts and backings. 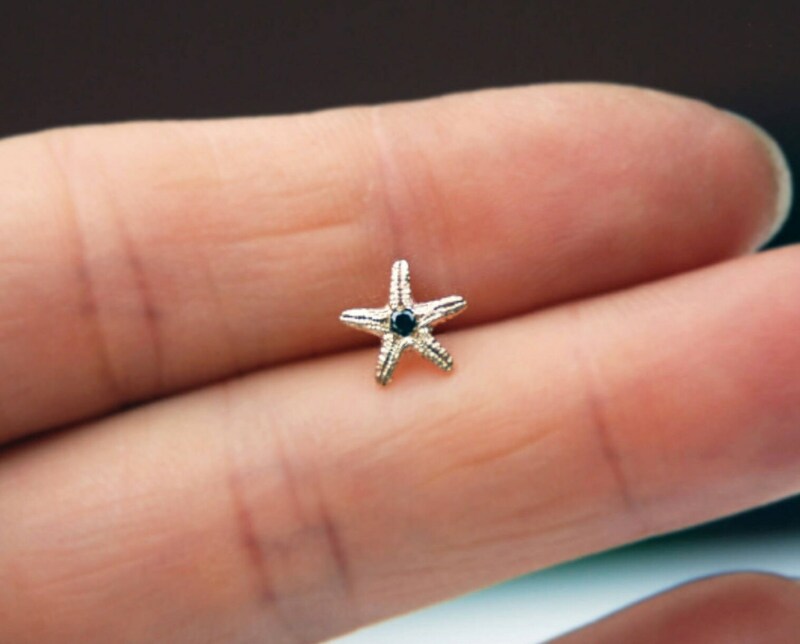 A symbol of Infinite Divine Love the Starfish also represents , Regeneration, Brilliance, Intuition and Salvation in troubled times. It is a beautiful emblem of love and endurance. Jennifer is the kind of person that reminds me that there are real, caring people in this world that make your day. First of all, the earrings are beautiful and my girlfriend loves them. She wears them all the time and these are the perfect size in my opinion! The craftsmanship is amazing. Secondly, Jennifer read my comment in the additional comments section and crafted and priority shipped the earrings VERY quickly! I bought them, they shipped the next day and about 3 days later they arrived at my doorstep. What makes this story better is that this happened right before Christmas. My girlfriend was leaving on vacation 5 days before Christmas and Jennifer made sure that the earrings made it across the country in time for my girlfriend's departure. Thank you so much Jennifer!